HIGH The final case might be the highlight of the entire series. LOW No love for Ace Attorney Investigations: Miles Edgeworth? WTF Why can’t I speed up the text? This has been a problem for FIFTEEN YEARS. Being a Western fan of niche Japanese games can be a frustrating thing. Every time a new title gets released, there’s always the question of whether it will receive an English localization, and whether entries yet-to-be-released will ever make an appearance to close gaps in the fiction. Also, games that do make it across the Pacific have increasingly become digital-only, much to the disappointment of collectors. While it seems like certain franchises such as Sega’s Yakuza have finally found a foothold in the West, Capcom’s lovable Ace Attorney continues to exist in a confusing and often-infuriating middle ground. At this point in time, new games have been released in Japan, but it seems Capcom is far more keen to simply release ports of previous entries. Cutting down on translation costs, perhaps? One one hand, I suppose fans of Ace Attorney are lucky to get anything. However, one could also argue that Capcom has created a self-fulfilling prophecy of niche sales by limiting new offerings to downloadable ports of old games, which is never going to grow the fanbase. 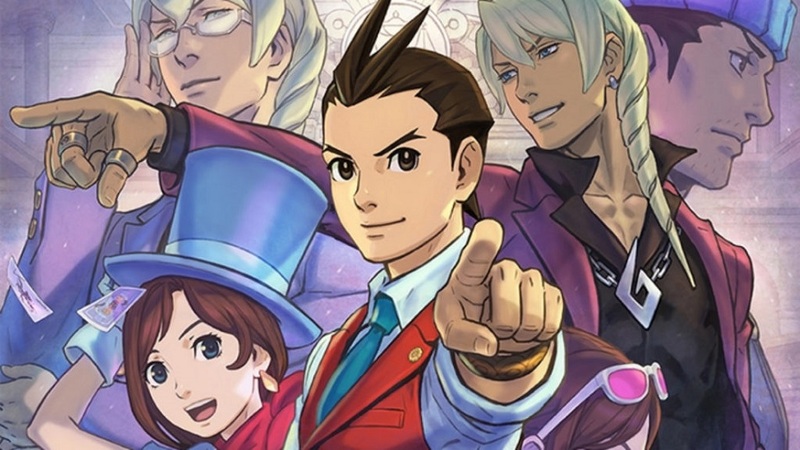 Those issues aside, I guess the recent 3DS port of Apollo Justice is a sign they haven’t completely forgotten Ace Attorney in the West, but putting it out on the 3DS eShop so late in that console’s life with little fanfare isn’t a great sign either. In any case, it’s here, and fans of the series will be happy to know it’s a solid-yet-unremarkable port of a game that I have some issues with. Apollo Justice: Ace Attorney is technically the fifth game in the series after the original Phoenix Wright trilogy and the exceptional Miles Edgeworth offshoot that (I guess?) Capcom didn’t feel was worthy of a remaster. For those who haven’t met him yet, Apollo Justice is a rookie attorney recruited by Phoenix Wright to work at the side of his adopted daughter Trucy to solve crimes and interact with a wide variety of inventive, insane characters in a courtroom drama only Japan could possibly conceive. It’s an effective formula, but Apollo Justice breaks away from previous installments by being a bit more serious, and losing some of the trademark Attorney silliness. That’s not to say it isn’t funny. The characters always keep things entertaining, but the Phoenix Wright games were always a very fluffy, lighthearted affair, and Apollo Justice — even when it was first released — never sat right with me as a fan. However, my biggest problem with Apollo justice is the general weakness of the first three cases. They pale in comparison to the final case, which is quite lengthy, plays with the mechanics in interesting ways, and is able to put a wonderful bow on a series that already got one with the end of the original trilogy. For longtime fans, it’s worth slogging through the average cases so they can experience how the final one turns the entire series on its ear in some crazy ways. As far as the port goes, it’s …fine. There’s nothing specifically done to enhance the game, although I can’t speak to potential 3D enhancements as I played it on a 2DS XL. It’s a bit sharper, the music is a little clearer, and the top screen has been enhanced to fit the wider 3DS’s display. Apollo Justice was also the first in the series designed from the ground up for the original DS, so the touch screen and microphone are used to uncover clues in novel, ‘early DS’ ways. One thing that was in need of a fix, however, is the text speed. The visual novel is a slower-paced genre for sure, but that doesn’t mean they can’t be mechanically zippy like the Nonary Games titles or Danganronpa. Ace Attorney’s pace can be tedious during cross examinations, and it’s not helped by the painfully slow speed of the text that is only able to be increased after a first playthrough. Any way to speed up play would’ve been a welcome enhancement, especially considering most of the people considering a purchase have likely played this before. 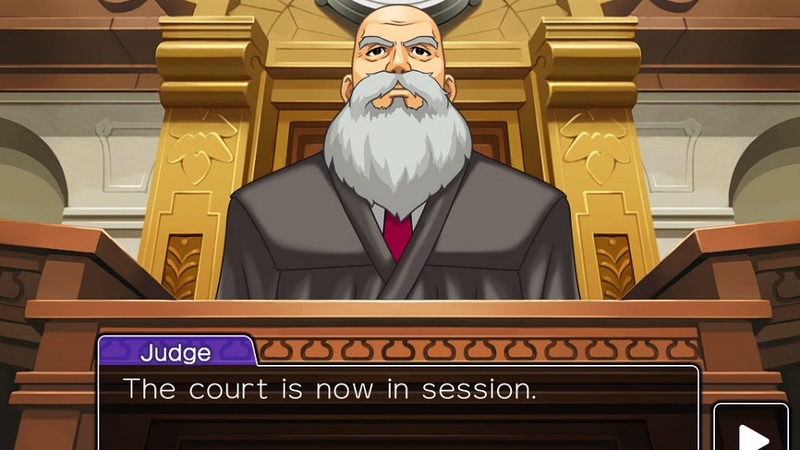 For fans of Japanese visual novels, the Ace Attorney series is incredibly important — it brought the genre to the West and proved that it could work. While the long delays in translations and missing entries is frustrating, it’s good to see Capcom continuing to keep it alive in some fashion. While I would’ve much rather seen Ace Attorney Investigations: Miles Edgeworth get a re-release (or better yet, gotten its currently-unreleased sequel) I’m happy that fans of the series at least got this. Disclosures: This game is developed and published by Capcom. It is available as a download only on the 3DS e-Shop with an MSRP of $19.99. This copy of the game was obtained via publisher and reviewed on a 2DSXL. Approximately 7 hours of play were devoted to the game, completing the first two cases. The 15-20 hour game was completed previously by the reviewer upon its initial release, and the time spent with this new version was to check for technical competence. There are no multiplayer modes. Parents: According to the ESRB, this game is rated T for Blood, Suggestive Themes, and Violence. While the game is a fairly lighthearted affair, the core of it is about investigating murders, and there is some swearing from a couple of characters. Deaf & Hard of Hearing Gamers: The story is told entirely through text and there are no necessary audio cues. It’s fully accessible.